How do I prevent and even eliminate these drastic cold and flu viruses…??? Running to the doctor and the pharmacy might help a bit, but eliminate and never get these symptoms again. 1. 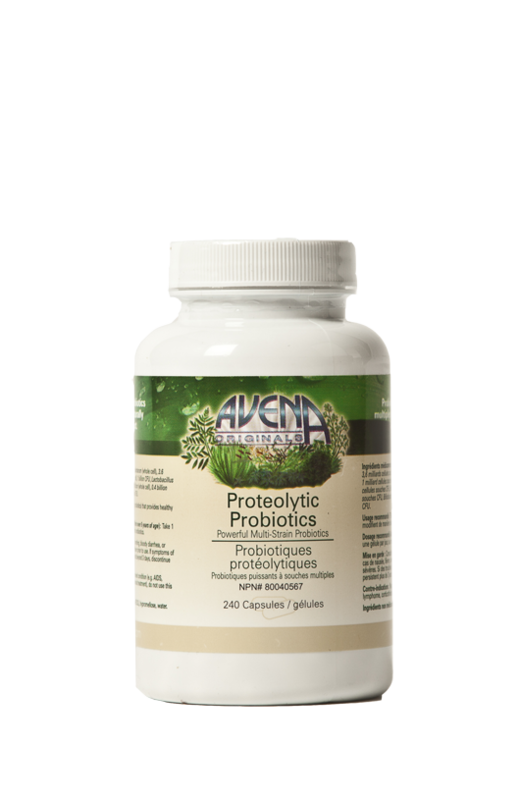 Proteolytic Probiotics –The most powerful and patented probiotics available. 2. 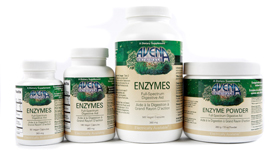 Enzymes… Also the most powerful and most effective… cultured and plant based. Proteolytic probiotics and enzymes IS THE IMMUNE SYSTEM…!!! 3. Electric ‘C’… a natural probiotic… a full spectrum vitamin C with all the electrolytes. 4. E-Fusion… a powerful raw amino acid (protein) complex. A meal replacement. And of course rest from stress, lots of water with lemon and honey (unpasteurized honey), garlic, onions and raw foods. Our program con help eliminate that excess weight with no phony gimmicks, useless pills or diet programs that do not work. More coming soon. 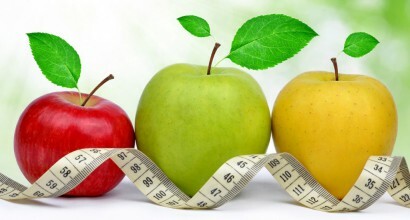 ‘News & Views to a Healthier You’ Colorful Newsletter. or call: (250)220-1262 and say “YES”! Get your copy TODAY! Only $10.00 purchased from the site above. Why not drink ‘Healthy Coffee’ ??? Reishi mushrooms are a tremendous benefit in helping to eliminate illness… infused into our GanoLife delicious coffee, mocha, hot chocolate… low acid and low caffeine. Where Will It Take Us…??? When read carefully, the CDC acknowledges that studies finding any perceived reduction in death rates may be due to the “healthy-user effect” — the tendency for healthier people to be vaccinated more than less-healthy people. The only randomized trial of influenza vaccine in older people found no decrease in deaths. “This means that influenza vaccines are approved for use in older people despite any clinical trials demonstrating a reduction in serious outcomes,” says Doshi. “For most people, and possibly most doctors, officials need only claim that vaccines save lives, and it is assumed there must be solid research behind it,” says Doshi. Unfortunately, that’s not the case, he says. Although the CDC implies that flu vaccines are safe and there’s no need to weigh benefits against risk, Doshi disagrees. He points to an Australian study that found one in every 110 children under the age of five had convulsions following vaccinations in 2009 for H1N1 influenza. Additional investigations found that the H1N1 vaccine was also associated with a spike in cases of narcolepsy among adolescents. Doshi’s concerns echo those of Dr. Russell Blaylock, a neurosurgeon and author of “The Blaylock Wellness Report” who has deep concerns over the safety and efficacy of the flu vaccine. A study released in February found that the flu shot was only 9 percent effective in protecting seniors against the 2012-2013 season’s most virulent influenza bug. Mercury overstimulates the brain for several years, says Dr. Blaylock, and that activation is the cause of Alzheimer’s and other degenerative diseases. One study found that those who get the flu vaccine for three to five years increase their risk of Alzheimer’s disease 10-fold. Doshi asserts that influenza is a case of “disease mongering” in an effort to expand markets. He points to the fact that deaths from flu declined sharply during the middle of the 20th century, long before the huge vaccine campaigns that kicked off the 21st century. Doshi’s article “is a breath of fresh air,” says Dr. Blaylock. “This article exposes in well-defined and articulate terms what has been known for a long time — the flu vaccine promotion is a fraud. To prevent and eliminate flu, colds and practically any illness, we must have a powerful immune system. Cleanse our body of accumulated toxins and nourish our body with wholesome live foods that was given to us for nourishment. Since most off-the-shelf food is devitalized we should supplement with whole live foods. Help yourself and others attain Ideal Health and be HIGHLY REWARDED!!! Go to ‘categories’… Earn an Income — Why Avena Originals. Are We Fat From Food or Toxins? Were you looking for just one more reason to lose those unwanted pounds? When we focus on regaining our health, it is often understood that it means losing weight, specifically fat or cellulite. Even for those blessed with slimmer figures, the desire is to have that magic ratio of fat to muscle. So why is there a preconceived relationship between ‘fat’ overweight and health? It’s because there absolutely is; but it may not be what you originally think. It’s true that those who don’t eat or exercise properly may have more than the required amounts of fat on their bodies. I say this because both men and women need some fat. Men, tend to need less, women a little more, however this applies to more than just what we can physically see from the outside. Your adipose tissue (fat) is a key player in your hormone levels, this tissue causes and encourages inflammation inside the body through disharmony in their receptors (Adipokine). The visceral fat (abdominal fat) literally suffocates the areas surrounding your vital internal organs. This pressure decreases their effectiveness and ability to function by a large factor. Visceral fat has been directly linked to a number of major health concerns (Heart Disease, Cancer, Stroke, Arthritis, Type 2 Diabetes, and Sexual Dysfunction) because of the stifling of communication that these fat cells are causing. Armed with this understanding as to the negative effects of being overweight it should be easy motivation to eat healthier and start a fitness program. Well, what happens is a multi-faceted effect; when your body loses weight generally there’s a decrease in the burden to certain areas. Losing 1 pound of weight is equal to 10lbs less of pressure on the knees. So for those who are suffering from knee, ankle and feet problems losing excess weight can lighten the load dramatically! So in the physical aspect there is a great advantage to reducing and eliminating excess weight. The question then becomes what happens after the first few pounds start to drop off, and that initial high from your new regime starts to fade; when you start to lose the energy you just regained? When people begin to lose weight (fat) what causes the mix of emotions? On one hand they start to feel more energy and a sense of accomplishment. Why then in those first few weeks/months does it seem that they experience energy fluctuations from high to low, headaches, body aches and skin that feels extra dry and itchy. 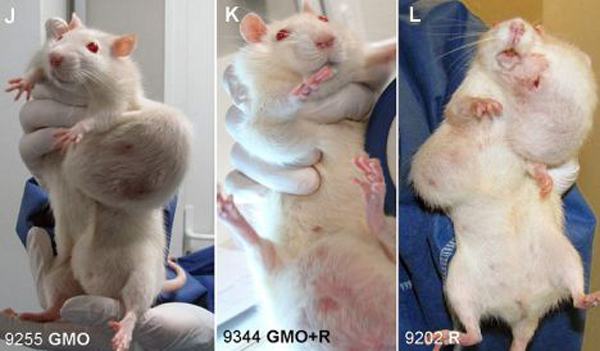 The real danger from these fats are the toxins they are helping to hide in our bodies. On the inside of your body there is a constant war going on. Your body is always patrolling for things that don’t belong. What happens is certain toxins (viruses, bacteria, yeasts, ect) have adapted to this. As a means of ‘hiding’ from your own natural defenses these toxins can surround themselves with a layer of fat, to hide their presence in the body. This is much like a creative form of camouflage. For true and lasting health it’s critical to take away their hiding spots and remove these toxins. You want pure direct communication from your head down to your toes and from your internal organs to the brain. This network becomes diluted or filtered through layers of adipose tissue (fat). For your body to correctly interact as a cohesive unit proper feedback and communication is vital. When your tissues have toxins in their safe fat surroundings, it’s like a wolf in sheep’s clothing running rampant inside your body. When you address these toxins you experience greater well being. The discomfort comes from the fact that when these toxins are exposed, you have to address them. For those who begin the weight loss journey and are faced with headaches, stiffness and soreness it’s because these toxins that were lying dormant now have to be factored in. Your kidneys and liver have greater workloads temporarily while they filter and deal with the toxins. Not all toxins and chemicals are created equal. Water based toxins are generally removed simply by consuming more water, and flushing them from the system. It’s been documented that people can actually lose weight by merely increasing their water intake and not changing their diet. This is because the water is acting as the filter and remover of the toxins that are being held by the body. When you dump and lose those toxins, the weight and the burden they’re creating in your body leave with them. Fat soluble chemicals are a little trickier in that these can often have a greater impact on the body in both the short and long term. These can often reside in and hinder organs, and potentially the brain (which is made predominantly of fat) through disruption of adipokines which has shown a relationship with dementia. Viruses often encase themselves in fats as well as a means of ‘protection’ from our immune system. The classic example is for those people who regularly get flare ups of infections from the same virus. A virus that’s never fully removed but rather killed off enough so we don’t ‘feel’ the effects of it anymore. So why not combat and get rid of these infections and toxic substances for good. Yes, when you start to lose fat you can open yourself to the possibility of ‘feeling gross’, but you’re giving your body the opportunity to expel these toxins once and for all. When you lose the toxins you’ll feel better and as a bonus you will lose the weight as well. So how do you help this process? You need to keep your body PURE. Use food and regular physical activity as your medicine and you’ll start the weight loss journey. Once the weight starts to fall, you’ll experience the opportunity to retake your health; from both a health standpoint and a physical one. So consider if you are being fat from food or fat from toxins. 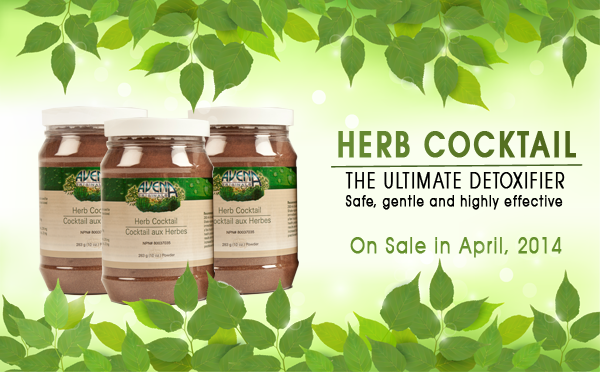 Use Avena’s Herb Cocktail daily to effectively empower the bodies ability to cleanse and detoxify your tissues especially your fat tissues. Use Enzymes which can increase the metabolism of body fat, increasing the rate at which body fat is broken down. Posted in Are you fat from food or toxins? Do you love hearing about amazing recoveries from near death illnesses? They are having a life that is FREE from their previous restraints, one full of life, energy, vibrancy and HEALTH. It is possible! You don’t have to be ‘sick’ to take control of your life and reclaim your health. Why wait? Video taken on beautiful Vancouver Island in the area of Parksville and Qualicum. Kim H – Traveled the world and discovered the power of the human body. Terrific endurance at age 63 as a river rafter. Hagen V – at age 82 overcame his battle with ALS (Amyotrophic Lateral Sclerosis). Hagen got up on stage and walked us through his recovery from ALS, also know as Lou Gehrig’s disease. He was given only 6 months to live and that was 12 years ago. He attended an Avena meeting which filled him with hope and desire to do what ever it would take. He is alive & loving life! Bill F – On the verge of prostate surgery, he learned how to heal himself and WIN! Darren B – One of the top ranked Free Ride Mountain Bikers. Maintains his stamina and endurance for long distance bike riding. Christina P – Fought back to health after being diagnoses with lung cancer while pregnant and later thyroid cancer and eliminated MS (multiple sclerosis). Laura B – A woman who wanted to take control of her health, supercharge her body and eliminate severe eczema. Wanetta B – Used to be over weight and suffered from bi-polar disorder and depression. Grai B – Pushing his body to its physical limits and surpassing people half his age in athleticism. Broken wrist healed in three weeks. Weight lifting… doctor said not to lift weights… healed quickly. More stories of healing… arthritis (any form of), fr4om death-bed to cancer free within 60 days, cataracts, diabetes, heart & circulatory problems, crohns, hepatitis C, IBS (irritable bowel syndrome), mental illness, alzheimers, dementia and much more… found on the sites below. Listen to the health speakers on “Cloud Radio” on the site below. Try our Ultra Powerful medicinal herb products that BRING RESULTS!!! People have attained “Miraculous Transformations” in their lives. WHAT MAKES “AVENA ORIGINALS” — ORIGINAL? Have you ever wanted to EARN a residual income… an income that comes in every month. I personally have an income coming in every single month for over eighteen years now from AvenaOriginal.info . So by helping and educating others, you can also develop an on-going residual monthly income. This blog and our ULTRA POWERFUL and EDUCATIONAL product site will teach you how to start EARNING TODAY! So join TODAY and develop that on-going income! So… WHAT MAKES “AVENAORIGINAL” — ORIGINAL? Not All Supplements are Created Equal – As shocking as this may sound, it is true… unless the supplements we consume are regulatory compliant and independently lab tested, we have no real way of knowing what is in the c ontainer. At Avena Originals, we are all about quality, honesty and integrity. And when it comes to the delivery of nutrients, our body has the final say. This is why the most expensive supplements are those that might not work, or even worse, those that do more harm than good. 100 % Pure Products of Nature & 100% Vegan Friendly – Our products are designed according to “The Laws of Nature” with nothing added, nothing taken away. What this means is our products are bio-available, synergistically compatible with our body and ultimately Electrically Available®. This is the foundation of our success. Here is why… Essential nutrients such as vitamins, minerals, proteins and enzymes are required for our survival. But certain laws of nature play an essential part in the delivery of nutrients. If you are at all health conscious, one of the most important “Laws of Nature” we need to understand is that… “our body cannot absorb a vitamin without a mineral, and to utilize minerals, our body needs utilizable proteins, but to absorb proteins, our body needs enzymes”! Most people who supplement are starting at the wrong end of the scale, because it all starts with “enzymes”. And this is why our products bring results! 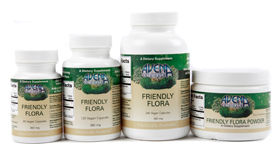 At Avena Originals, we formulate according to nature and we do not cut corners. Quality comes first! Free from Binders, Toxic Fillers, Extenders & Excipients – And no isolates as the body does not necessarily recognize isolates. For the vast majority of companies, profit is the bottom line. So we get what we pay for. Cheap supplements often contain less effective, low-end ingredients to keep product prices l ow, increasing consumer demand for their products while boosting profit margins. The end result of cheap supplements is typically low potency and potential toxicity. Regardless of the marketing hype, many supplements on the market are often completely unnecessary – some have even been proven to produce health risks. But at Avena Originals, we start by using only the highest quality ingredients. We understand the potential for supplements to be treated as a toxin by the body and as such we pride ourselves in providing only the purest products of nature! 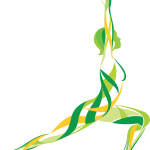 Our best insurance is to take a more holistic or whole body approach to our health. We need to be sure that the supplements we consume will feed our whole body the way nature intended — this is the way all products bearing the Avena Originals label are formulated. In fact, the leading researchers from around the world are now stressing the importance of maintaining a healthy environment for our hundred trillion cells. The health of our body is largely tied to the health of our cells and not our DNA! Our DNA is merely a blueprint. It does not build, nor does it destroy. Our DNA is our blueprint to be our very best! We Strive to Educate! – The original saying, “Give a man a fish; you have fed him for today. Teach a man to fish; you have fed him for a lifetime.” is what we are all about. This is why our skilled management team and staff invest our days working together as a team to help protect your investment – your health! At Avena Originals, we strive to educate our members in matters of natural health and wellness helping our members to be more passionate about a better quality of life, to do more, feel better and live longer without pain, misery and illness! A Unique Referral Membership Program — Imagine providing these truly unique high quality products to your entire family and friends at little to no expense. Join our referral program and purchase products at wholesale cost and refer others to earn and pay for your products. The `Avena Originals Referral Program` has been carefully created to ensure that you have a comfortable place to begin your association with us and plenty of room to grow as your needs and desires increase. A referral program truly equal in opportunity, as Members may earn their first Group Volume Rebate check with as little as one referral. Take Action NOW!… Join as a member TODAY! – Try the products… we know you will be impressed just like thousands of others are. Below is an overview of our SEVEN major products that have and bring results for all that use them. We find that once members receive proven results from our health program, they keep on using the products. 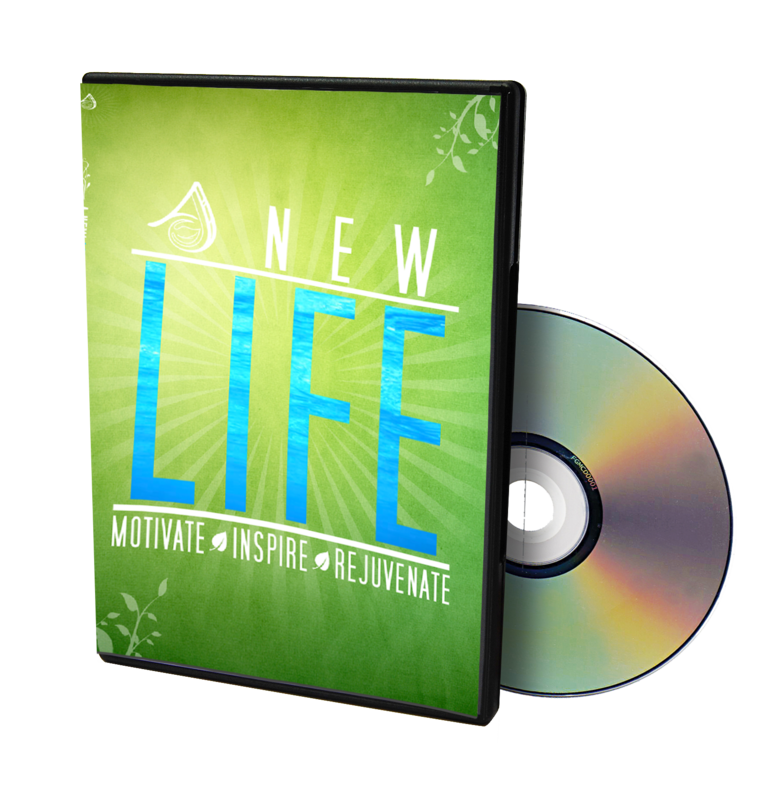 Join as a member (only $25.00) with many benefits, receive the colorful ‘Educational Product Catalogue’ and try some products. We will help and guide you along the way… Just give us a call. Ultra Powerful Educational and Product site: www.AvenaOriginal.info or www.IdealHealth4Life.info Follow our blog… www.LeadingEdgeHealth.org and subscribe on the sidebar of this site. Join as a member with many benefits and order from website above or call: Avena Originals – 1-800-207-2239 — Use referral #10164 PS… Make sure you listen to the “Cloud Radio” on the website!!! You CAN ELIMINATE YOUR cancer, safely, quickly, easily and… NO PAIN… NO SUFFERING… NO MISERY! A Powerful Testimony to the Strength of the Avena Originals Formulations! 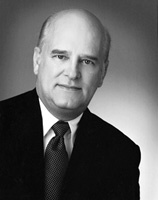 In one of his latest books, ‘Come Alive!’, (Available he re) the late Dr. Bernard Jensen included a special dedication to Avena’s formulator, Michael O’Brien. Here is Bernard Jensen’s story, as we understand it, as told by Michael O’Brien who walked through this miraculous journey with Dr. Bernard Jensen: Bernard and Michael knew each other from years earlier, when Michael was the director of two medical clinics in Los Angeles, and Bernard managed a holistic clinic just a few blocks away. While in Hawaii at the Queen’s Medical Center Hospital he was told that he had cancer. His Prostate Specific Antigen (PSA) registered over 1,600 while normal was 0 to 4. The doctor said he would die unless he went the conventional medical route, using chemotherapy, radiation, surgery, etc. When he became so sick that he could no longer help himself, his wife Marie called their dear friend, Michael O’Brien. Dr. Jensen was down to just 76 pounds, and the cancer had metastasized into his bones, and he was on unlimited amounts of morphine for pain. In her conversation with Michael, Mrs. Jensen advised that the doctor treating Bernard had left for Fiji, and as far as he was concerned, Bernard was already dead. could not find one doctor willing to treat Dr. Jensen. records they realized that there was nothing they could do to help him, and no one wanted to be the last doctor to treat him, after all, he was a very famous man. Dr. Jensen accepted this as a challenge. He agreed that he needed to show the world that even in his state, it was possible to have victory over cancer using natural methods. With Bernard’s new found will and purpose to live, Michael knew that Bernard’s body could heal by simply ‘Cleaning and Feeding the Body’. 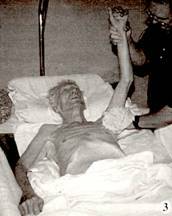 What is interesting to note is, here’s a man that wrote the book on the bowels, and here he was lying there extremely miserable, because he had not had a bowel movement for 15 days. They were still feeding him three meals a day, trying to fatten him up, because he was just skin and bones. But Michael knew that the first thing he needed to do was to clean his bowels, and get the bowels moving again. So Michael gave him a cold-oil enema. himself, Michael knew that there are only two things in the body that are the workers, and he only had to look down at Dr. Jensen’s body to see that he had NO workers. What are these ‘Workers’? Two things—Enzymes and Probiotics (Friendly Flora). In order to give Dr. Jensen a fighting chance in his condition, they had to immediately start loading his body with these workers! So Michael instructed Bernard’s wife Marie to give Dr. Jensen as many Enzymes and Friendly Flora as possible. For the first few weeks, Marie gave Dr. Jensen as many as 500 Enzymes and 200 Friendly Flora per day. Why so many? Well the answer is really quite simple. When you have a huge 5,500 room hotel that needs to be built within a few months, you know that it cannot be done with just a few contractors and few workers. But rather, you need hundreds of contractors and workers at that job site daily to meet your deadline! The very same scenario applies to the body… His wife Marie continued to load Dr. Jensen’s body with hundreds of contractors (Enzymes) and hundreds of workers (good bacteria-Friendly Flora) each and every day! On the 2nd week – Michael slipped a pillow under the doc’sback so he could sit up and start to drink without a straw. felt to be able to take a shower again. On the 6th week – Michael took Bernard out for dinner. would have to carry him back! Six months after this accident, Dr. Jensen’s wife called Michael to tell him what had happened. 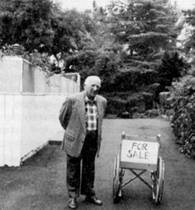 They had just received a report from the doctor stating that Bernard would never walk again. Bernard wanted Michael to come see him. “Clean theBody and Feed the Body”! O’Brien’s formulations, and in fact, we remain the only Canadian Company that Michael O’Brien formulates for. At Avena Originals, we never compromise quality, and as such we have Michael O’Brien formulating his well-researched, well-respected formulations for us at full strength, without the use of binders, extenders, or cheap fillers! formulations made available to you through Avena Originals! forever changing peoples lives! ***(A note here… We know that our SPECIALIZED products bring RESULTS! If you try other above mentioned products, the might NOT produced the results mentioned here. Those products might be very weak and contain fillers to make them very ineffective. With our ‘patented’ probiotics, they pass through the high acid of the stomach. The Friendly Flora is will not be destroyed as it is effective between 2 and 12 ph.